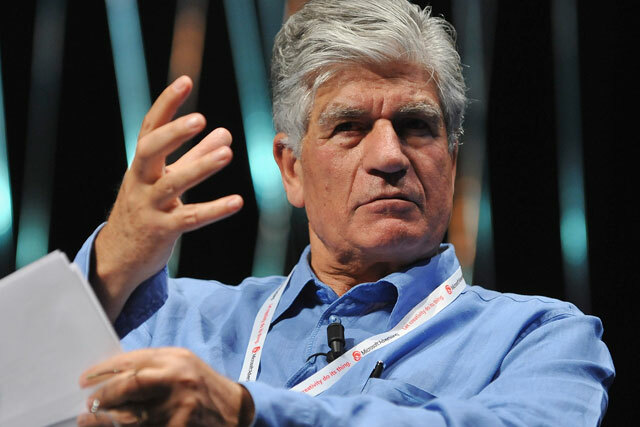 Publicis Groupe's recent denial it had engaged in discussions with Interpublic has triggered another flare-up in the hostile relationship between Sir Martin Sorrell and Maurice Lévy. After the WPP chief executive expressed a degree of doubt about the Publicis denial earlier this week, accusing the French group of trying to negate the impact on its own share price, Lévy hit back. "As very often what Martin says is rubbish," he told Campaign. Publicis also denied it had acquired any Interpublic shares "ever", ruling itself out as the direct cause of the spike in trading in IPG shares on Friday. WPP is also understood not to have bought any IPG shares. Friday was the day that the Financial Times Alphaville blog made its claim that Publicis was working with a group of banks on a deal that would be priced in the region of $15 per share. "Publicis Groupe denies having engaged in any formal discussions with Interpublic Group of Companies (IPG) and confirms that it has not commissioned any bank to undertake such discussions." Sorrell subsequently commented: "You have to look at the Publicis statement very carefully because it’s more interesting for what it doesn’t say than what it does. I would challenge its veracity because it says in the statement that Publicis has not had any contact with IPG and it doesn’t say when. And are they saying they’ve never had a conversation with IPG? We know that to be untrue. "So that is one thing. The second thing, to say that you haven’t commissioned a bank doesn’t mean anything. You might be in conversation with a bank, you might be in discussion with a bank, then you may or may not commission them to enter negotiations." Following Levy's retort, Sorrell sought to return the focus to the IPG link, saying: "Maurice's typically articulate response fails to answer the implied question. Has he had talks with Roth and/or IPG or not?" Sorrell and Lévy famously clashed on the mergers and acquisitions field in 2003 when WPP trumped Publicis in a £266m deal to buy Cordiant. Cordiant held a 25% stake in Publicis media network ZenithOptimedia, which Publicis subsequently acquired from WPP for £75m.